Kaitlyn Young, Lakeville North, jr. The Ponies muddled their way through the 2018 regular season and entered the postseason with a limp 7-12 regular-season record. They even lost their first game of the Class 4A, Section 4 playoffs. Luckily, the double-elimination format kept their season alive for one of the most unexpected turnarounds in state history. 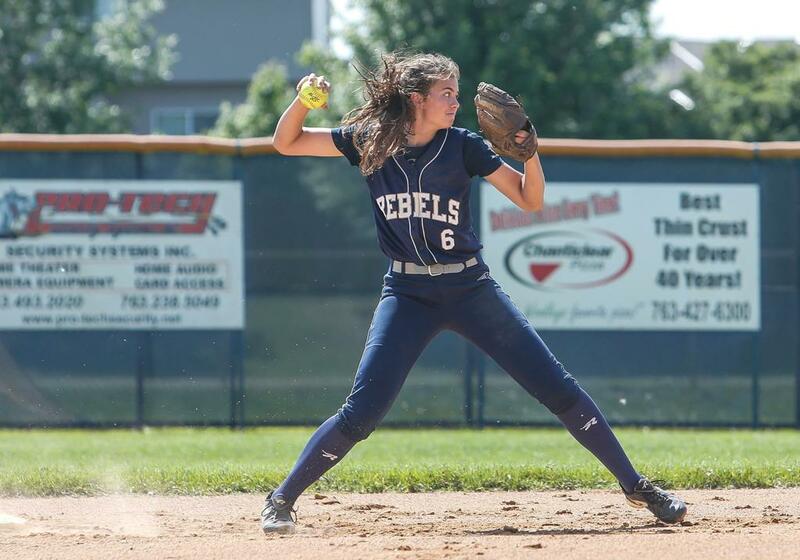 Freshman pitcher Allison Benning turned into an ace and the Ponies’ bats woke up, leading to a nine-game winning streak that ended with a Class 4A state title. Stillwater has a significant chunk of that team coming back, led by Benning, senior stalwarts Torri Chute and Annelise Bell, and junior second baseman Haley Eder-Zdechlik. A repeat title is not out of the question, but it’s fair to say coach Bob Beedle would like to see his team realize its potential much sooner. The time is ripe for Lakeville North softball to take its place among the school’s other successful teams. Likely a year ahead of schedule when they qualified for the Class 4A state tournament last June, the Panthers look plenty ready to be among the state’s best teams this year. They have six starters back, led by one of the metro’s top pitchers in junior Kaitlyn Young and junior shortstop Jenna Beckstrom, who committed to Minnesota last spring. Sophomore catcher McKinley Malecha has all the tools of a successful backstop: defense, arm, quick release and a bat with power. While pitching is always the focal point in softball, this year the bats will be making just as much noise. Nearly every top team has an elite hitter. At Champlin Park, it’s Holly Blaska (.597, seven HRs, 28 RBI in 2018). Stillwater’s Torri Chute is always dangerous (.407, 10 HRs, 25 RBI), as is Madi Meduna at Park of Cottage Grove (.474, three HRs, 33 RBI). Shakopee boasts sophomore catcher Joie Fittante (.576, 38 hits) and Farmington has the gritty and versatile Olivia Hazelbaker (.470, six HRs, 27 RBI). Other standouts are Minnehaha’s Kate Pryor (.597, seven HRs, 27 RBI), Blaine’s Madi Peterson (.448, five HRs, 29 RBI), Simley’s Emma Heimerl (.508, five HRs, 26 RBI) and Orono’s Jordan Allar (.375, eight HRs, 24 RBI.). Last year Shakopee catcher Joie Fittante, then just a freshman, turned plenty of heads with her polish behind the plate and her ability to hit to all fields. She was among the metro leaders with 38 base hits. Who will be the next player to emerge? While there are plenty of worthy candidates — sophomores Lauren Laviano of Mahtomedi, Jordyn Peterson of Blaine and Logan Anderson of Forest Lake, for example — it’s difficult to overlook Chanhassen freshman Sydney Schwartz. The pitcher/first-baseman is already in her second year as a starter and is looking to improve on a terrific eighth-grade year: .534, 39 hits, three HRs, 25 RBI and a .767 slugging percentage. While large metro programs draw lots of attention, state tournament favorites in the state’s two smallest classes reside on the outskirts of the Twin Cities. Maple Lake, which capped a one-loss season with a Class 2A title, lost three all-state players to graduation. But the Irish remain deep, talented and the favorite in 2A. Class 1A Randolph finished third in its first state tournament appearance and has all but one player back from a year ago, led by its stellar sophomore battery of pitcher Morgyn Otte and catcher Megan Erickson. Expect the Class 1A title to go through Randolph.